Starbucks Wants To Give You A Whole Year's Worth Of Free Coffee! You can also enjoy two Venti beverages for only RM25 today! Calling all coffee lovers! 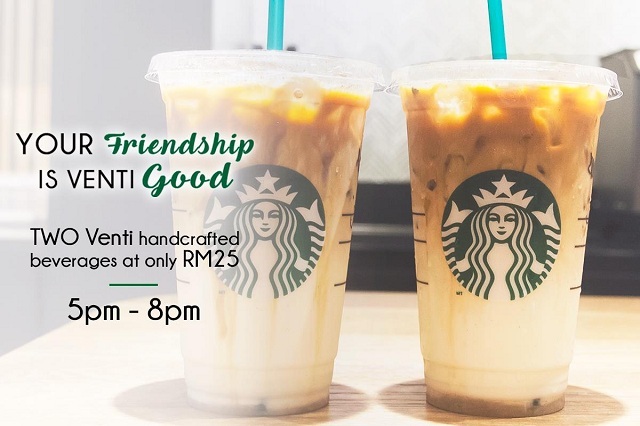 Today is the last day for you to enjoy TWO Starbucks Venti beverages at only RM25! Buy any of your favourite Starbucks drink in the largest size between 5pm to 8pm today with your Starbucks card and you'll earn a 'ticket' to participate in the #ventiLOVE campaign. What is this #ventiLOVE campaign all about, you ask? 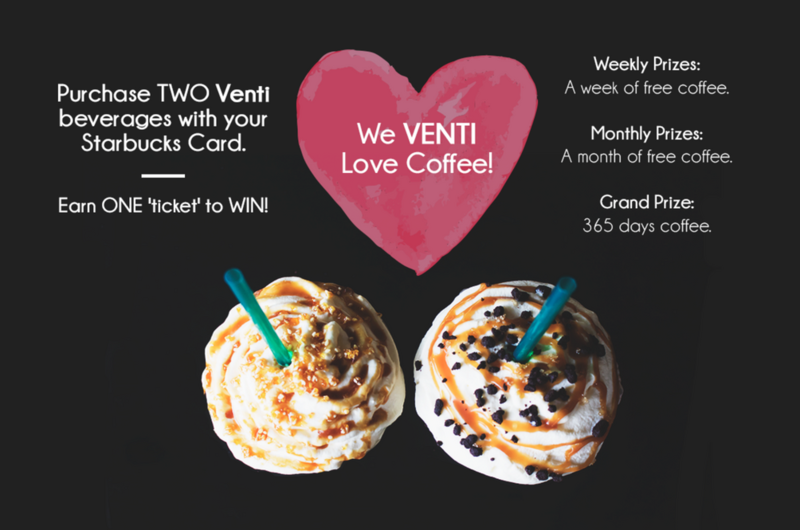 Well, Starbucks Malaysia is giving you a chance to win either a week's worth of free coffee, a month's worth or better yet, an entire year's worth of FREE COFFEE! Who doesn't love free coffee, right?! Each time you collect a ticket, you'll be one step closer to having your caffeine obsession satisfied without actually worrying about hurting your wallet. So hurry on to your nearest Starbucks now because the campaign ends on 31 March 2017! For more information, visit Starbucks Malaysia's Facebook page. Tak Perlu Ke Luar Negara, Ini 6 Sebab Mengapa Malaysia Negara Terbaik Untuk Bersara!